Two brightly color silks are tied together. 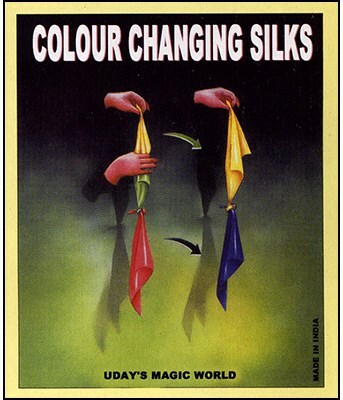 By simply stroking the silks with an empty hand, the color changes visibly. Community questions about Color Changing Silks 15"
Review Color Changing Silks 15"